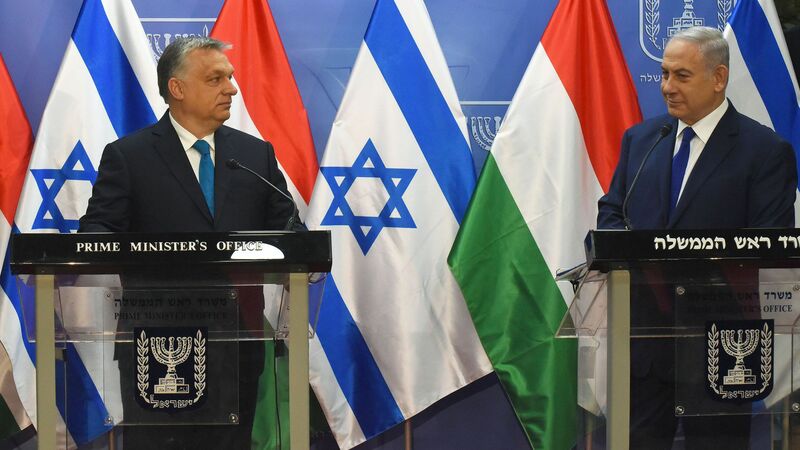 Israel is negotiating with Hungary's government over the future contents of a new revisionist Holocaust museum to be opened in Budapest. Israeli officials told me the nationalist right-wing Hungarian government led by Viktor Orbán wants to use the museum to whitewash any involvement of the Hungarian state or the Hungarian people in Nazi crimes during World War II. In February Poland passed a law making it illegal to refer to Nazi concentration camps as "Polish death camps". "Polish Death Camps" IS a bit unfair. Germany invaded Poland in 1939 and the first "Polish" death camp opened for business in 1941. So they were really Nazi occupied territory death camps. German rule in Poland was brutal. How many Jews still remain in Poland today, and what is life like for them? Negotiating with Viktor Orban is also a bit unfair. And what about Hungary? What's life like for Jews in Hungary? What's life like for Jews in Hungary? I imagine it's not as bad as life has always been historically for Jews in various parts of Europe. Many Jews preferred living in Muslim countries (rather than Christian) because Muslims have a duty to treat them as People of the Book. Meaning "don't murder or enslave them". Not so much in Europe. The Hitler plan for Poland was pretty clear. He wanted them TO ALL be killed - the entire nation of Poland! Yep: Kill all the Jews, homosexuals, commies, gypsies, and Poles. And any other group or country who got in his way. But not Switzerland. They have all the banks, which is kind of contradictory with the "Jews have all the money" meme. But let's not let reason get in the way of creating an Aryan Übermensch. I'm mostly Czech, so my ancestors would have been on one of those trains, if not for immigration back in the 1900's.